Another baseball season has nearly come and gone. For Lipscomb’s nine former players in the professional ranks, 2018 was a mixed bag. Several players had outstanding seasons, while others struggled to stay healthy and find consistency. Caleb Joseph appeared in a few MLB games with his younger brother, while Michael Gigliotti tore his ACL and missed nearly the entire season. Meanwhile, Chris Nunn found success in the independent American Association after being released by the Houston Astros. After batting .256 in 2017, Joseph’s performance at the plate regressed some this season. He spent one month with Triple-A Norfolk to get more regular playing time, but the Orioles brought Joseph back to Baltimore in June. The Franklin native then got the rare opportunity to pair with his younger brother, Corban, who briefly called up by the Orioles this summer. They are just one of nearly 100 sets of brothers to became MLB teammates. Baltimore (45-110) is set to finish with the worst record in baseball. Joseph has been outspoken about the team’s struggles and told The Athletic’s Dan Connolly that he understands why Camden Yards is mostly empty on game nights. Smith signed a minor league contract with the Seattle Mariners in mid-March, only to be released by the team a month later. Fortunately for the Florida native, he landed another minor league deal with the Boston Red Sox in May. After some early struggles, Smith was effective both as a starter and reliever over the final two months of the season. His performance should earn him another contract, although it may not be with the Red Sox. 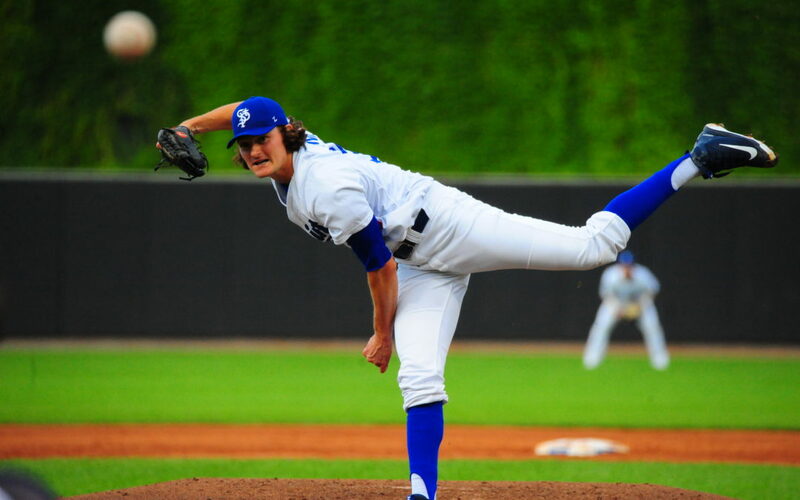 Brothers was named to Atlanta’s opening day roster but only made one appearance. From there, he was sent to Triple-A Gwinnett, where he struggled to find consistency coming out of the bullpen. The former Shelbyville High School star spent the last month of the season with Double-A Mississippi, where he was able to find a groove. Brothers will turn 31 in December and is still chasing the MLB success he saw with the Colorado Rockies from 2011-2015. His one-year deal with the Braves is set to expire this offseason, and much like Smith, his future with the team is uncertain. The former Riverdale High School standout had perhaps the best season of any former Bison. Despite being sidelined by a midsummer injury, Puckett made 21 starts and posted a 2.56 ERA, besting his 2.92 mark from 2017. He began the season at Class-A Greensboro, before being quickly promoted to Class-A Advanced Jupiter. Puckett showed excellent control with his 98-18 strikeout-to-walk ratio. The 6-foot-8 hurler has begun to fill out his lanky frame, which is likely to increase his velocity. Puckett will take part in the Marlins’ instructional league this fall and could see time in Double-A next season. Passantino, the very last pick of the 2017 draft, continues to prove his doubters wrong. The 5-foot-9 righty delivered an impressive 2018 campaign that was split between Class-A short season Eugene Emeralds and the Class-A full-season South Bend Cubs. The Fort Myers native earned Northwest League all-star honors during his time with the Emeralds. Passantino started eight games but was also effective as a reliever. With a solid Spring Training performance, he could earn a spot with the Class-A Advanced Myrtle Beach Pelicans next spring. The Royals’ fourth round pick in 2017, Gigliotti appeared to be on a fast track to the big leagues before suffering an ACL injury on a play in the outfield in April. Gigliotti has progressed well in his recovery and should be ready for the start of spring training in March. MLB.com still lists Gigliotti as Kansas City’s 10th-best minor league prospect, but the injury adds a bit of uncertainty to his future. Solomon proved to be a valuable late round pickup for the Padres. In fact, Solomon was named MVP of his Arizona League team after going on a tear in late July and early August. The Ohio native played first base, second base, third base and right field for the Padres. That type of versatility, along with his strong bat, should allow Solomon opportunities to move through the Padres’ system. With an outstanding spring training performance, Solomon could earn a spot with the full-season Fort Wayne Tin Caps in Class A. Otherwise, expect him to see time with the Class A short-season Tri-Cities Dust Devils of the Northwest League. 2018 did not go as planned for Chucky Vazquez. The former Lipscomb catcher appeared in just eight games for two Yankees’ minor league teams before going down with an injury. Vazquez was placed on the 60-day disabled list on July 23 and never returned to the Yankee lineup. As an undrafted free agent that has played sparingly the past two seasons, Vazquez faces an uphill battle to remain with the Yankees into the 2019 season. However, MLB organizations are always in need of catching depth and Vazquez’s defensive abilities should afford him another crack at pro ball when he makes a full recovery. Nunn started his season with the Fresno Grizzlies (Triple-A affiliate of the Houston Astros) after being selected in the Triple-A phase of the Rule 5 Draft. However, Nunn was shipped back and forth between Fresno and Double-A Corpus Christi before the Astros released him on June 24. He was quickly picked up by the St. Paul Saints of the American Association, where he posted a 3.35 ERA and eight wins in 14 starts. His performance with the Saints should be enough to help him land a minor league deal with an MLB team this offseason.